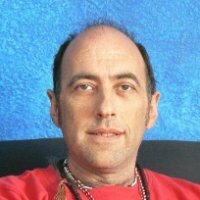 Rod Suskin is well known as an astrologer and sangoma in Cape Town and has been in practice in both fields for over 30 years. He has a special interest in traditional medicine both in the African and European contexts, and his interest in medical astrology has led him to study the history of medicine and its relationship with cultural belief systems about health and healing. His astrology is grounded firmly in the tradition and ancient principles but contextualized in the modern world with the modern practice of astrology. He teaches astrology in a three-year Diploma course at the online Rod Suskin School of Astrology. Rod is the author of a number of astrological books including Synastry and The Rules of Chart Interpretation, as well as books on spirituality published in South Africa. He also contributes regularly to a variety of publications in South Africa and was commissioned to write about the national astrological chart for the official parliamentary newspaper. Rod had astrology slots on national TV for 9 years and on Cape Talk radio on for 17 years. He has recently completed an MA in Cultural Astronomy and Astrology at the University of Wales where he specialised in the relationship between cosmology and healing practices.